With Halls Crossing RV Park & Campground, you're just steps from food, fun, and the Village Store. It's easy to get to Halls Crossing. Simply pick up the ferry located at Bullfrog Marina and Halls Crossing is just a short ride away. Stop by the Village Store to check-in - and don't forget to pick up food and beverages while you are there. While campsites are offered on a first-come, first-serve basis - RV spaces can be booked online. Note: If you expect to arrive late, a map and directions to your designated site will be posted on the door of the Village Store. 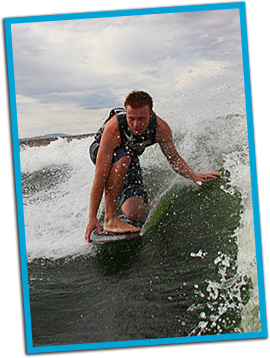 Lake Powell is is one of the nationas premier vacation spots. Wahweap and Antelope point the biggest marinas at Lake Powell and are located a few miles out of Page Arizona. Wahweap and Antelope point the biggest marinas at Lake Powell. Bullfrog Marina and Halls crossing marina are 95 mile up lake from the Glen Canyon Dam. Bullfrog is the gate way for boaters and visitors approaching from south-central Utah and Western Colorado. Lake Powell, the second largest reservoir in North America, is 186 miles/299 kilometers long and has 1,960 miles/3058 kilometers of shoreline. Hundreds of side canyons, inlets and coves sheltering Indian ruins and natural wonders make Lake Powell a paradise for house boating, photography, and general exploring. 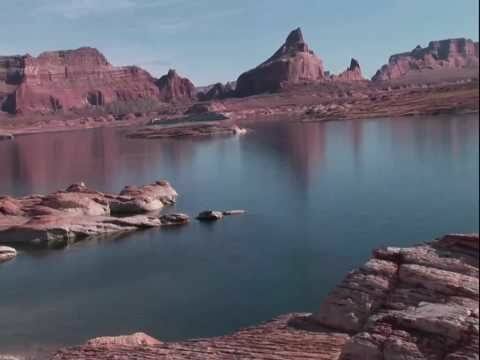 Lake Powell offers some of the nation's finest fishing, for striped bass, smallmouth bass, largemouth bass, walleye, catfish, crappie and northern pike. ) Other recreational activities include boating, water skiing, wake boarding, scuba diving and swimming.